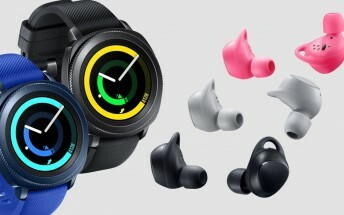 As scheduled, the Samsung Gear Sport and Gear IconX (2018) are now available to purchase in the US. Both devices are listed on the South Korean company's official US website, carrying $299.99 and $199.99 price tag, respectively. The tech giant is also offering a free Swarovski Band with each purchase of the Gear Sport. Aside from Samsung, third party retailers like Best Buy and Amazon are also offering these devices. Pricing remains the same.